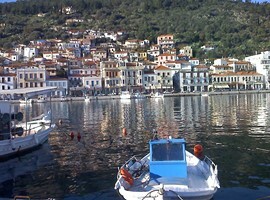 Gythio is a port settlement, situated in the southern Peloponnese. According to a mythical story, it was established by Hercules, but the historians are of the opinion that the town was first occupied by the Phoenicians. 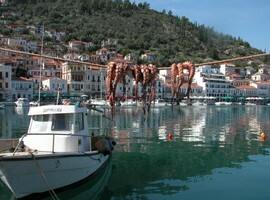 Subsequently, Sparta attacked in the town and made it its port. It should be noted that an awful earthquake smashed the whole town entirely in the 4th century BC. A huge number of damages, unfortunately, afflicted the ancient theatre, the temples which were dedicated to the Gods, and also the houses and the public buildings. Nevertheless, the small town managed to survive. Afterwards during the 2nd century BC., the Romans occupied Gythio and set up many Roman memorials surrounding the town. It should further be mentioned that Gythio was also part of the Byzantine Empire but was conquered by the Turks in the 19th century. 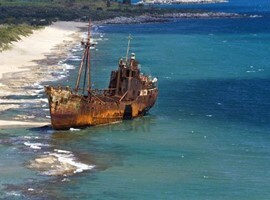 As a fact, Gythio was a significant port where the Greek fleet was being replenished to fight against the Turkish powers. In this age of globalization, today the modern town is a quaint getaway with neo-classical buildings, multi-coloured fishing boats, cafes, taverns and a soothing harbour to wander around. The brand name of Gythio, however, is the island Kranae, which indicates helmet in Greek. The story behind this eccentric name is credited to Homer who documented that when travelling to Troy, the most beautiful woman of the antiquity Helen and his lover Paris spent a night there. When they departed next morning, Paris forgot his helmet on the island and that’s why until now this is the name of the small island. Kranae works as a natural ‘’mod’’ against the waters and the winds of the open sea while it was being used to defend Gythio from the enemies and pirates. On Kranae, we find today the beautiful and conventional Tzanetakis Tower which currently houses the Ethnological Museum of Mani. 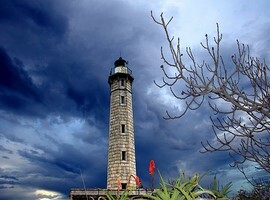 Also, the lighthouse of Gythio, made exclusively of white marble, was constructed in 1873 and stands 22 meters tall. 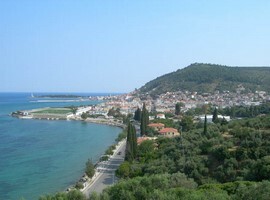 Many types of seashore are originated around Gythio and a considerable number of visitors visit them in the summer months. Some of them host the perilous Caretta- Caretta sea-turtles which move there and lay their eggs in silence. It should be noted that the most well-known beach of Gythio is definitely Mavrovouni, which was awarded with the Blue Flag for being an outstanding swimming location. The ancient theatre of Gythio is located close to the ancient town in the northern part of the modern city and is a Roman theatre consisting one of the most significant archaeological locations of the region. It was primarily built during the 1st century but then it was modernized during the reign of the Roman ruler Augustus. It is exceptional with its simple seats in all rows but not the first; this was made of high quality white marble. The width of the auditorium is roughly 75m and some Roman buildings are located behind. Although, it is a minute theatre, yet it is still well-protected. Here, at the auditorium, the thymelic performances were taking place. It is important to note that the thymelic was a song competition dedicated to the god Dionysus and in it had been included sacrifices and parades by the Roman rulers. 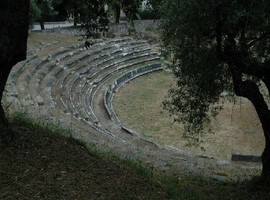 Today, although the site is neglected, some cultural events take place in this theatre during the summer months, as part of the local but interesting Festival of Gythio including ancient drama performances, music concerts and public speeches. 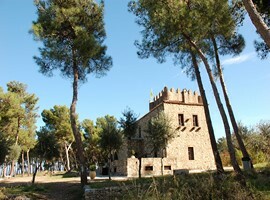 The Historical and Ethnological Museum of Mani is located in the Tzanetakis Tower which is a tough stone tower, characteristic of the local architecture and was the property of a local politician. The tower is actually on the Kranae islet and it was built in 1989. When watching the exhibits of this museum you can take a taste of Mani and its long culture, tradition and history. It hosts some ancient maps and scripts of the Western travellers, who travelled this constituency in the period of the 15th to the 19th centuries and noted their impressions and observations, informing the visitors about the fortification of the Mani peninsula and its stages. The lighthouse of Gythio is located to the small islet of Kranae in the eastern part of the town of Gythio. The lighthouse is a white coloured structure with an octagonal shape. It is made of white marble and its height is 25m while the height of its central part is approximately 78m. It was founded in 1873 and since 1989 it houses the Maritime Museum that displays items from the long naval history of the town of Gythio and generally from the entire area of Mani. After its first years of operation, the lighthouse was working with diesel and its radiance extending for over 15 nautical miles. However, in the World War II, it fell into disuse until 1945, when the Hellenic Navy had taken the decision to renovate all of the lighthouses. So, after four years, it once again started to work but this time using acetylene. 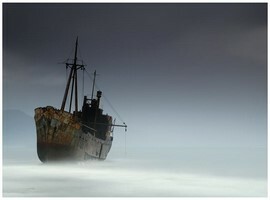 Nowadays, it lights every 18 seconds and has a range of 9 nautical miles. The lighthouse of Gythio is always available to the public and is a prominent view of the town. When you travel from Gythio to Areopolis, there is a little village with unique beauty which is named Skoutari. It is an eye-captivating village on the top of a hill with a breath-taking view of the sea under it. While the Bay of Skoutari is on the east, the village has an eye-catching countryside which includes forests, mountains, bushes and many more natural gifts. The village is also famous for its fifteen churches, of which only one is regularly functioning. Nevertheless, these churches offer a wonderful opportunity to witness some stunning 18th Century frescoes, like those which appear Saint Ioannis Chrisostomos (means in Greek the golden mouth man). Skoutari has around 150 people population and is ideal for those who desires to relive in the past or simply get pleasure from the calm serenity of its presence. The most well-liked beach of Gythio is Mavrovouni which is located at just about 2 km at the southern part of the town, exactly below the homonymous village. The Mavrovouni beach has length about 6km and is the biggest one around Gythio; indeed sandy, having tiny stones on the sea bed. Moreover, it gets really active and crowded in the summer. However, its size is wonderful, never getting overpopulated. Mavrovouni beach is accessible to interesting performances, such as windsurfing; the ideal time to perform windsurfing is in the afternoon just because that is when the wind blows much stronger. Furthermore, there are several options relating to tourist facilities and accommodation on the coast which can provide you a relaxing stay. If you stay in Mavrovouni village, you may follow the paved road to reach the beach. It should be noted that Mavrovouni beach was awarded with the Blue Flag, which of course, proves the purity of its waters. Additionally, it provides a proper atmosphere for the caretta-caretta sea turtles. Archelon, a Greek organization for the safety of the Sea Turtle, protects their nests. Selinitsa, one of the most beautiful beaches in the surroundings of Gythio is just 1km away from the centre of the town. The coast has a fine white sand and its length is about 150m. Moreover, its waters are clean and pure. In fact, this beach was awarded, like the others in Gythio, with the European Blue Flag. It has diverse tourist facilities like hotels, rooms to let and camping sites to stay, lively beach bars and also taverns by the seaside. Selinitsa beach is famous because of the caretta-caretta sea turtle goes there in the summer. That is the reason why, Archelon in collaboration with the municipality of Gythio, assures that the beach is clean and sufficiently safe for this process. Take into consideration the Selinitsa beach when you pay a visit to Gythio and enjoy the sport activities, the high quality facilities, the cool waters and the soothing surroundings! If you intend to start travelling from Athens to Gythio, you have to take the National Highway linking Athens to Corinth. After passing the channel of Corinth, you follow the Highway to the city of Tripoli and from Tripoli, you move to Sparta. From Sparta, you follow the signs to reach Gythio while the distance from Athens to Gythio is about 270 km and from Sparta is about 40 km. We have to mention that there is no an airport in the town of Gythio. 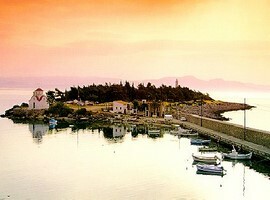 The closest airport is seen in Kalamata that works only during the summer and receives charter flights from overseas. Daily buses are available from Athens to Gythio and that journey is comfortable. Buses leave every day from the intercity bus station of Athens to Sparti and then Gythio. 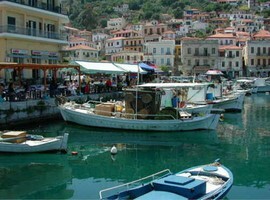 There are also available ferries from the Cretan town Kissamos to Gythio and Kithira 3 times in a week. These ferries operate mainly in the summer.